"Hello!! My name's Walter.. "Hello!! My name's Walter. I weigh about 225Lbs, And I'm 5'7" Tall. I need to lose about 45 to 55 Lbs. Has ANYONE got any ideas how to lose it in a safe manner?? Does me4654 belong in this group? Does red12220 belong in this group? 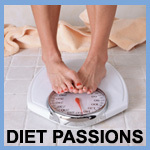 diet tips I am looking for diet tips recipes for losing weight I am limited on exercises because of my knees and back problems. Trying the nondiet I have always struggled with my weight and am constantly trying to eat healthy but fall off the wagon. Does nicaboriqua14 belong in this group? Does secure007 belong in this group? Does nobody belong in this group?